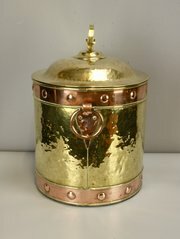 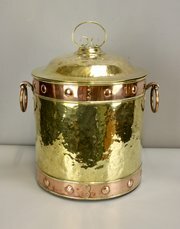 A lovely Arts & Crafts brass and copper coal or log bin, manufactured by Henry Loveridge in Wolverhampton circa 1900. 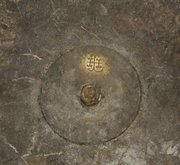 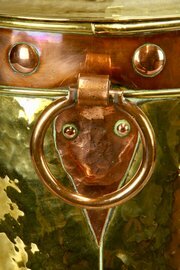 It has striking copper drop loop handles with heart shaped strap work behind, Offered in good condition, commensurate with age, it measures 44cm high by 38cm max diameter. 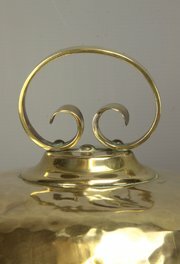 The price includes UK mainland postage.